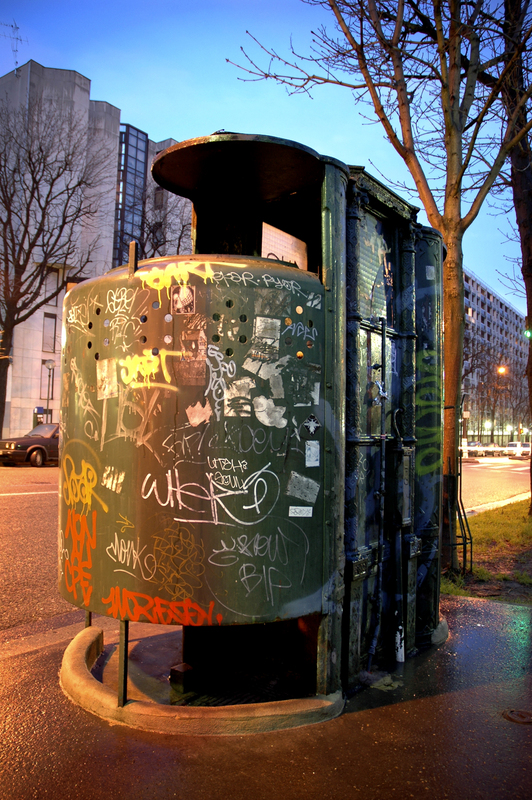 Pissotière, Montparnasse, Paris. 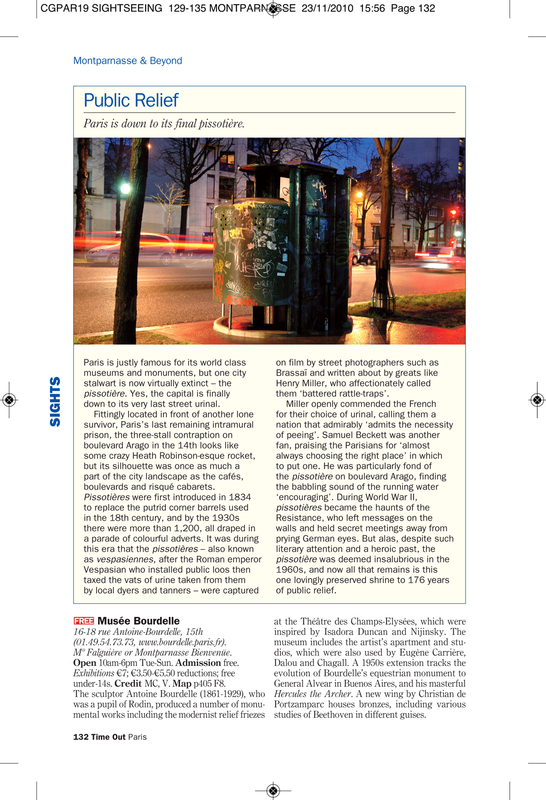 Yes, one of the things I shot whilst racing around Paris for a day was this urinal. A police car pulled over as I was taking photos – although they were puzzled as to why I was photographing a pissotière they didn’t mind, they were more concerned about the prison behind. In my broken French I explained myself and they watched as I finished things off. Read below as to why this urinal is significant. 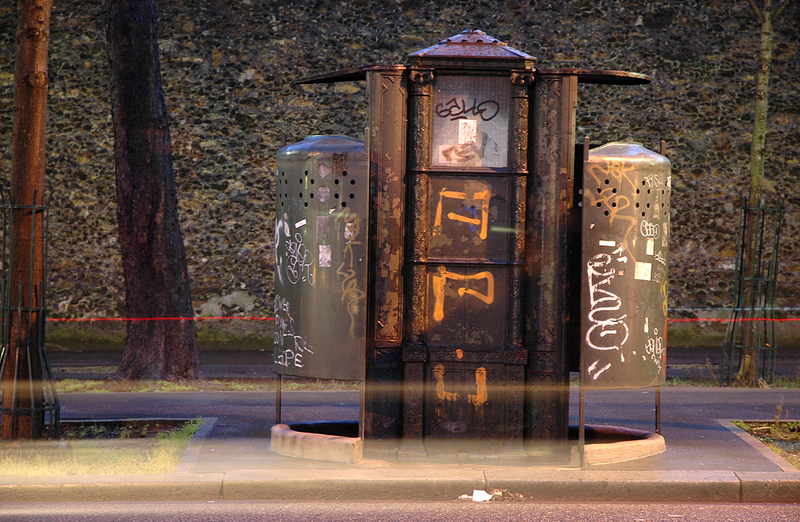 This entry was posted in Architecture, Paris and tagged dusk, france, graffiti, photography, public, toilet, traffic, urinal. Bookmark the permalink.